January birding in the Skagit Valley area. L to R me, pal Katie and sis Gilia. Report Out from the Field: Birds Birding! Last weekend I went out birding (bird-watching) with a bunch of girlfriends for a fun, informal, dedicated day of spotting winter migrants in the beautiful river delta region of the Skagit, about one hour north of Seattle. You can tell from our smiles in the photo above that it was a great day (Short-eared owls in that field behind us!). The late fall to early spring months (November to March) in the PNW are fantastic for birding. Migrants like Snow geese, Trumpeter and Tundra swans, and Short-eared owls (and sometimes Snowys too) come down from the Arctic and Northern Canada to feed in the agricultural areas surrounding Puget Sound. Add to these birds the resident Bald eagles and other raptors, and you have birds en masse in areas devoid of trees and foliage, making them all easy to see as they go about their business of hunt and be hunted. Speaking of hunting, this birding season is concurrent with duck hunting season, and we birders are in the same areas as the hunters in our interest in finding birds. For the most part it's a friendly parallel, and we share reports for what we've seen or hope to see when passing. I am not opposed to duck hunting, and figure all of us are interested in conservation for our own reasons. Regrettably, on this particular outing, we ran into an unusually aggressive duck hunter, whose words for our group were hostile from the first interaction--something I have never experienced before. I'll get to that later. My sister and I led the group and planned it well in advance; organizing a caravan and providing a list of stuff to bring--namely warm clothes, mud boots and optics. I made sure there was plenty of red wine for our outdoor picnic stop, too, and even brought along real stemware! Gotta have some luxuries in the field, especially if trying to entice new people into the past time! We made it a day of casual, circumstantial birding, versus a serious day of life-listing (the practice of keeping a list of every species seen anywhere in the world). Many of the group were first time birders and we didn't want to turn them off with a tireless slog of counting and piling in and out of the car. Luckily, everyone was up for some walking along muddy dikes in the brisk cold, making new friends, and learning about new landscapes and the birds inhabiting them. It was a day of many, many shared interests and loves. Winter is a great time to see migratory birds as they are passing through many areas of North America and they are easy to see, especially the ones that travel in flocks, such as waterfowl. Many resident birds are easier to see as well, for the lack of leaves on trees. Spring breeding season is also a good time to see birds. They are vocalizing and less shy, making them easier to spot. Birds start courting from as early as mid-winter, so do a little research if there is a certain bird you want to see, as to when they are likely to be most active. Luckily for beginner birders, there are many resources, online, in books, and from in-person experts. 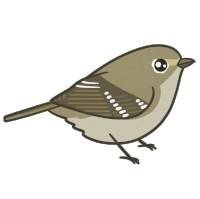 Online, you can visit American Birding Association website, an organization dedicated to educating recreational birders. Then look locally for an Audubon Society chapter or nature center for suggestions about where and how to start in your area. Many of these local organizations lead bird walks, which are ideal for an introduction to birding, if you are brand new. Once you have some confidence, get out looking on your own. State and national parks often provide bird lists, so you aren't guessing what it is you are spotting. There might even be a bird guidebook specific to your state (my state has one, as do many others). ABA lists birding etiquette, and please follow it. It applies to the protection and respect for the bird and habitat you are observing. Public land use rules come into play if you are somewhere you need a park pass (get one! ), or if you are sharing the public space with other users, such as hunters or fisherman. On this last trip, our group of 10 women attracted the ire of a hunter who felt we were being noisy and disruptive and scaring away ducks. He had a point--we were a large group and all agog about seeing the Short-eared owls, and probably being noisier than we intended. But his use of the f-word from the outset, and then threat to shoot over us, made the interaction totally unproductive. I reminded him we had the same right as he did for being there, AND we outnumbered him. But for the sake of the birds and other users, it's a good idea to keep voices low, and always stick to designated areas of use (like trails). And respect private property. Nothing gives birders a worse reputation that disregard for trespassing. Please don't do it. Dress for the weather, bring layers and changes of clothes, rag towels for wiping mud and dirt off your shoes between stops, insect repellent if applicable (for our trip it wasn't), sunscreen, hats, warm shoes or boots. Do whatever you can to keep your hands free and dress to compensate for that. If you need to sit, or plan to be someplace for a while, bring a camp stool. And bring your quiet voice (see above!). Respect other users, both wildlife and humankind. This should be the case no matter what kind of trip--birding or otherwise. Invite fun, diverse people who love adventure and exploring the countryside. We always make frequent foodie stops en route (research first! ), bring libations or stop for them, and make time for spontaneity, like window shopping in the town of Edison where we started our day. Make a point to support local business wherever you are birding, and to tell them you're there for the birds. Below are photos from our trip! Window display at Edison shop. Owls turned out to be a good omen for the day! Rough-legged hawk seen along the road, Samish flats. Image: Ivy Yakun Jin. Pals Laurel and Elisa at West 90, a great spot for owls (usually!). Also for hunters. Signage at West 90. Birding season here usually overlaps with hunting season. Image: Gaby Charlton. Along the Bayview dike walk, Samish flats. Every kind of boot represented here! Favorite stop on Fir Island. You can walk all the way out to that rock along muddy trails and over driftwood. Bald eagle against the Cascade foothills. Image: Ivy Yakun Jin. Elisa at Eide Rd. Photographer in the distance. Ruby-crowned Kinglet seen at Eide road stop (this photo taken at another location by Mike Hamilton). Snow geese flying overhead at Eide Rd. Image: Ivy Yakun Jin. Vole skull extracted from a Short-eared owl pellet found on the ground by our brave birder, Laurel! I brought it home in my pocket. Image: Gaby Charlton. Short-eared owl at Eide Rd. Image: Ivy Yakun Jin. Muddy boots after full day of birding! For more advice on how to start birding, and what you might need, check out these earlier posts about expert-led bird walks, gear and fun ideas for what to wear.